A top university in the Philippines and healthcare startup MediXserve have joined hands to launch the country’s first blockchain research lab. 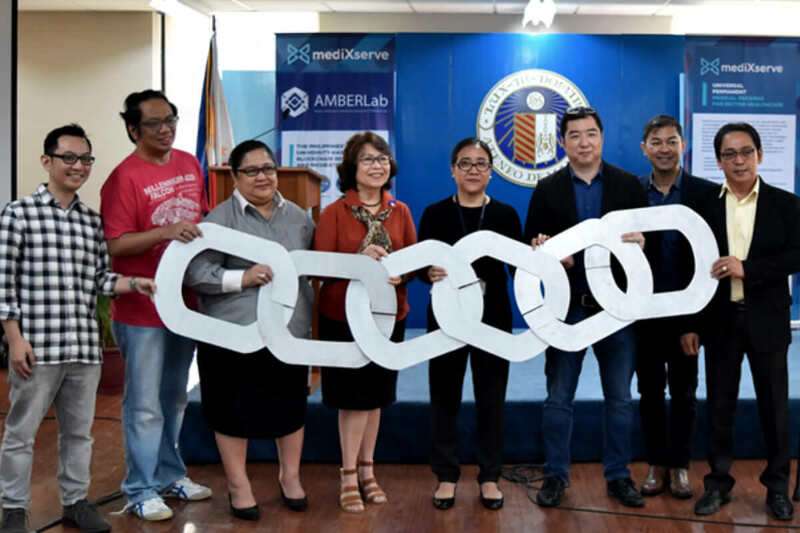 Chaining Ceremony: Executives of Ateneo de Manila University and MediXserve hold a big chain as a sign of support for AMBERLab’s blockchain research projects. Blockchain-powered healthcare startup MediXserve has teamed up with Ateneo de Manila University to launch the Philippines’ first blockchain education and research laboratory. Located in the university’s CTC Building, AMBERLab (Ateneo-MedixServe Blockchain Education and Research Laboratory) will serve as a think-tank and advanced research center that examines blockchain technology for developing countries and initiatives in the private sector. It encompasses health tech, fintech, education tech, artificial intelligence (AI), and data analytics, among others. AMBERLab will design and build prototypes, develop training programs and curricula, and create a dynamic environment where researchers, entrepreneurs, academics, students, faculty, supporters, and industry experts can come together and share knowledge as well as best practices in technology, health, finance and insurance, government, economics, and even social enterprises. It also welcomes research proposals and funds to promote the use of blockchain. “Our motivation in establishing this research laboratory is that blockchain supports our vision in maximizing ICT for nation-building. Most of the current services do not reach the underserved. And if it does, the cost is too high for an ordinary Filipino to receive its full benefits. To transform ICT solutions into blockchain technology, we eliminate layers of transactions, which mean lower cost of service delivery. This means that we are able to do more and serve more,” AMBERLab head Regina Estuar said. On top of the research initiatives, AMBERLab will provide educational programs and activities. The facility also functions as an incubation center for blockchain-based startups. “We also welcome start-ups with innovative ideas and technology on blockchain to collaborate with us as we also have an incubation center in AMBERLab, where we can help fund, build and launch their products globally,” MediXserve co-founder Jason dela Rosa explained. MediXserve uses the latest IBM Hyperledger Fabric technology to create a permission-based distributed ledger. This new technology offers solutions for industries that need to comply with data protection regulations. Ateneo and MediXserver first announced their partnership in August.